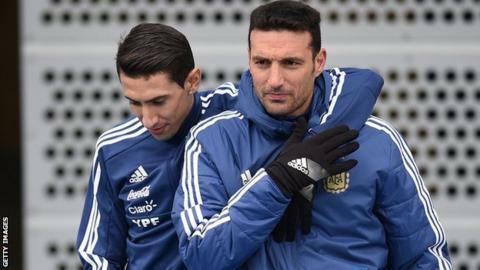 Argentina coach Lionel Scaloni has been released from hospital after being hit by a car while riding his bicycle. Scaloni posted a picture of his facial injuries following the accident in Majorca on Tuesday. The 40-year-old, who played seven internationals for Argentina, wrote on Twitter that he was going home after receiving several stitches. Scaloni was appointed to replace Jorge Sampaoli, who was sacked following the 2018 World Cup. The former wing-back, who spent much of his playing career in Spain with Deportivo La Coruna and had a spell at West Ham in 2006, will oversee his country's Copa America campaign when the tournament begins on 14 June. Argentina have not won a major trophy since the Artemio Franchi Trophy in 1993.